“You can do that?” I was asked with surprise. Simply put, the answer was yes. During my time at a particular SaaS company this was probably one of the biggest paradigm shifts I made within the team. Closing the gap between sales and marketing has become less and less of a challenge these days thanks to technology and more sophisticated content marketing strategies. 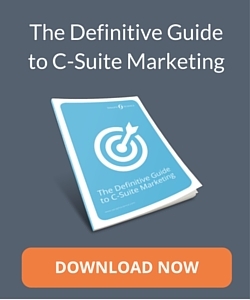 Yet somehow many sales and marketing teams still aren’t as aligned as they could be. Part of this is due to technological restrictions, but mostly it’s down to lack of content. Sales enablement through content marketing is something that marketing and sales teams can use to close more opportunities by working together. 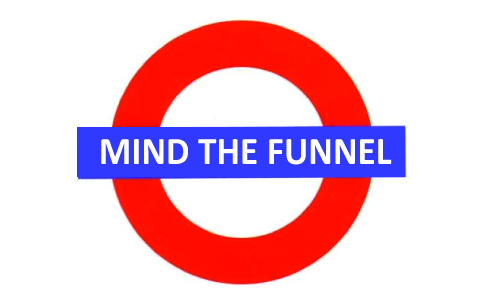 Forget about top and bottom-of-funnel stages of the sales cycle for a moment. Sales enablement in the form of content is there to help your salespeople close more deals. In that respect the stages of the cycle should be forgotten temporarily as the sales process isn’t always that straightforward. Instead, it’s a matter of assisting sales to overcome a challenge their prospects are trying to overcome. As a marketer, the only way you’ll know to do this is by talking with your sales teams. I’ve created this article as a guide to assisting sales to close more of the leads that you provide them with. It’s a formula you can follow to ensure that you’re creating the right content for sales enablement and further closing the gap between marketing and sales. As I mentioned before, the A-to-B method of creating content won’t work as well here because a prospect will have concerns and questions during the decision making process. If you have a high ticket or high complex solution then this will be even more relevant. In order to get around this, you need to uncover relevant content during the sales cycle of a prospect. The next step will uncover how to do this, but first you need to understand what content marketing for sales enablement really is. Really good salespeople not only wish to ensure the right message is ready for the right time during the sales cycle, but they want to get involved with the creation process too. Therefore, content crafted for sales enablement is a joint effort between sales and marketing. Salespeople know the effects a strategic piece of content can have to unstick a prospect that won’t budge. If salespeople are involved in the content creation process then they’re more likely to be open to applying it to their sales processes. Due to the ownership we have over channels such as social media, blogging etc. the general consensus seems to be that content is for marketers only. However, this is no longer the case. It’s true that customer service, account managers and even product designers can get in on the action with content marketing these days, but this is especially true for salespeople. Therefore, you need to make it accessible to them. The best sales & marketing teams actually educate and encourage sales people to create their own content – not just for their own roles, but for blogs, too. The ultimate purpose of this guide is to help fill in those gaps if the content doesn’t exist, but sometimes it already does. The question is, are your salespeople asking you because they’re lazy or simply because there’s a lack of accessibility? Sales enablement means education. You enable them by giving them the tools and resources they need to do their job and by teaching them how to use those tools. Now you understand the role of content from the perspective of the sales rep, it’s time to get your teeth stuck in and begin the conversation. Your salespeople are talking to your clients every day. They hear the objections they present and questions that are regularly raised. They are a treasure trove of content ideas you can dig through to create content for both your marketing efforts and for them. These guys have their finger on the pulse of your audience. They are key to the challenges of your buyer personas and can serve both top and bottom of the funnel. It’s a win-win-win for everyone. QUESTION: What makes you different from x, y and z? QUESTION: What’s the ROI that your service will bring? You’ll need to elicit this information from your salespeople, which is where getting everyone together in a workshop environment will help. To get the most value from these sessions, listen very carefully and dig deeper on each piece of insight they present. If they tell you about an objection on price, ask where prospects aren’t seeing the value. The deeper you dig the more gold you’ll find. If you want some quick insight, try and catch them near the water cooler or at their desks during a quiet patch and probe them for a few minutes. Ask them what their most common objections are, or what the biggest challenge prospects are facing. From these sessions you’ll likely have a lot of feedback and insight to play with. During your conversations you should be creating mind maps and categorising everything under broad topics. These are all ideas for content that you can create for sales enablement. Find the most common objections and note them all down. You can really turbocharge these sessions by encouraging sales to stretch their idea muscles. The framework we’ve laid out so far works great in terms of uncovering insight, but the best content comes out of collaboration. The best way to do this? Share what you’ve currently got in the pipeline, what you’re already doing and ideas of what sales would love to see. Ask what would make their lives easier. In other words, give them permission to be inventive and creative. Once you’ve collected insight in the form of mind maps, categorised lists and ideal outcomes, you’ll want to get building. The number one rule here is to keep sales in the loop throughout the entire process. For you, this process might involve planning, writing, designing and creation of marketing collateral (landing pages and the like). Each step should have sales’ feedback involved. These are the people who you will be serving in this case, and it’s critical that you get it right. Don’t go away and work in a silo. Remember what I said before about giving them permission to be creative? Allow them to do this here, too. If they see an opportunity to make something more effective then take it into account. There are no right or wrong answers. Content creation is only one side of the coin. The other side involves a tailored experience for all of your prospects. This is something that sits mostly with sales, but as a marketing resource it’s up to you to make it happen. Here’s how. The best salespeople never stick to a set script. Sure, they use processes to guide them, but there’s never a one size fits all solution. The content you create for sales enablement should work in the same way. Every piece of content that your sales people send to a prospect should help them progress towards making a decision, while at the same time delivering value. It should make them go “a-ha” and get them to take the next step. However, those “a-ha” moments will only ever arise from specific queries, concerns and questions being solved. This means tailoring the content experience to each prospect. There are two ways you can do this. The first is to let your sales teams deal with it in a traditional way. 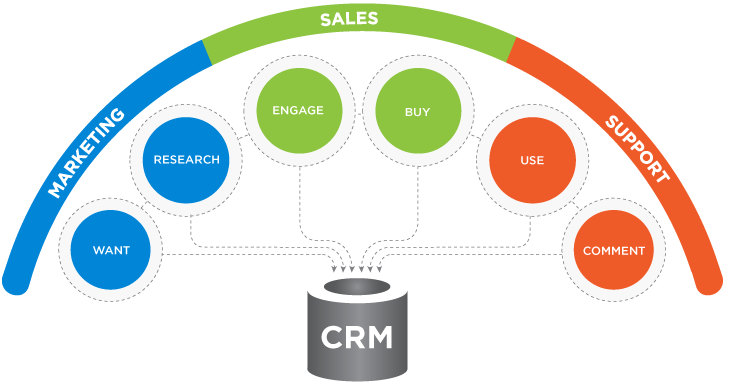 They send the content as and when and keep track of who has received what in the CRM. One challenge this approach poses is how burdensome it is to bring other people within the organisation up to speed. All the content you send your prospect is scattered across various emails, which makes it hard for your prospects to present a case to senior decision makers. The solution? Create an environment tailored to the sales cycle of particular segments of your buyer personas. For example, you could group together pieces of content which adds value and helps overcome objections and questions that marketing directors are often faced with. The content is all grouped together in one page and makes it easy for your salespeople to send on. This means that, once these buyer personas receive a link to this special tailored environment, they have everything they need and feel they’re being taken care of. They know that you get them and that they’re in good hands. Tailoring the experience for segments is a great first step, but if you have developer resources then you could take it a step further – enable your sales teams to tailor the experience for each prospect. Creating a system that allows your sales people to start with a blank slate and add individual pieces of content to a landing page can build a completely tailored experience for organisations. Instead of emailing individual pieces of content, it’s all there in one place. This will quickly remove the friction prospects experience when trying to keep other decision makers in the loop and make the experience much more enjoyable. It adds a certain air of credibility that will put you above others in the decision making process, too. This is quite a technological leap in terms of sales enablement, however you want to give sales reps the tools to make advances as quickly as possible. The next step is to make this happen using resources and platforms already at your disposal. By now you should have a perfect understanding of the challenges your salespeople face in terms of objections and lack of education to provide to prospects. You should have mapped out the various objections and queries and categorised them into topics and ideas for content. You should also have a plan for building content and a process that collects feedback from sales teams. Once the content is done, you’ll need an environment to provide your buyer personas with this content. Now it’s a matter of making it easy for your sales people. Beyond what we talked about in step 3, there are several ways you can do this. If you’re using Salesforce or any other CRM, adding links to content and value-driven calls-to-action within email templates are one of the quickest wins you get. You can tweak the templates to be more focused towards the content you’re providing around prospects’ challenges, simply include links in P.S. sections or create new templates that focus on the content entirely. When you have content in place that your sales teams can really utilise, it gives them an opportunity to review their processes. Messaging can be tweaked in order to add value and connect dots between steps in any given sequence. Similar to what I suggested you create in step 3, a centralised location where all sales enablement content can be found is a quick resource you can create for your salespeople. 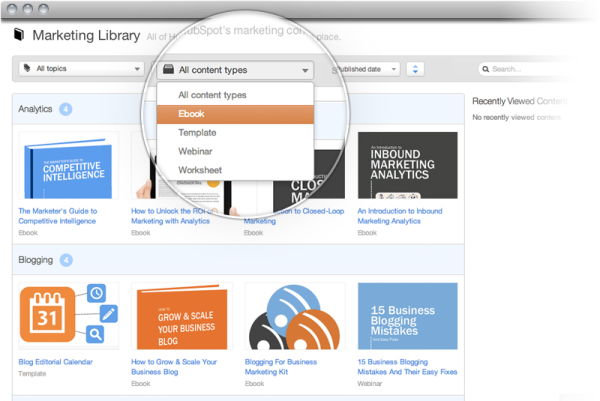 HubSpot and KISSmetrics both have great libraries you can take a leaf from. The only difference is the content is aimed at sales and will be internal, as it’s unlikely you want to make this a public resource. Good sales content stands on several pillars. 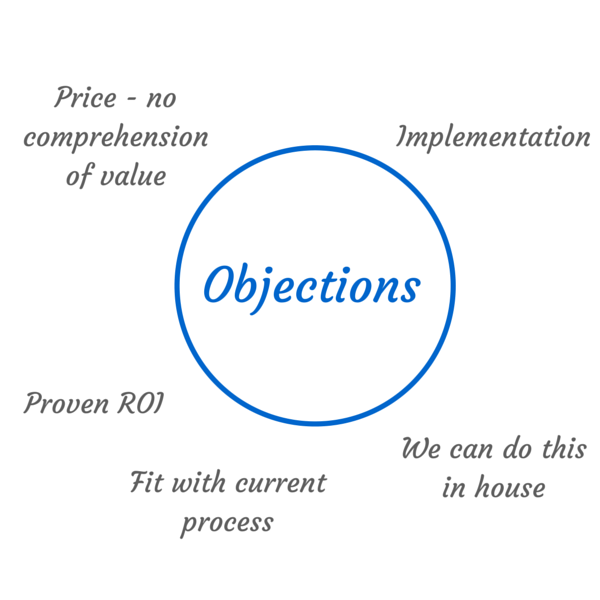 Those are the objections and challenges your prospects face when making a buying decision while, at the same time, driving value. The foundation that these pillars sit on are the insights from your sales team. This is the key to sales enablement and creating content for them. You need to understand what they’re facing on a daily basis when selling your solution. Part of this is putting your ego away. Salespeople and marketers are working towards the same goal, and the best way to do this is to help sales out. Be a servant and you’ll reach your goals far quicker.